Political History Gets Animated in 'Chicago 10' Director Brett Morgen joins Fresh Air's Terry Gross to discuss his new film, Chicago 10. The film mixes trial footage and animation to tell the story of the "Chicago 8" — protesters held accountable for violence that erupted with police outside the Democratic Convention in Chicago in 1968. Director Brett Morgen joins Fresh Air's Terry Gross to discuss his new film, Chicago 10. 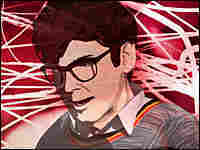 Morgen uses archival footage and animation techniques to tell the story of the anti-war activists known as "the Chicago 8" — a misnomer, he says, and one he corrects in his film title. Outside the 1968 Democratic Convention in Chicago, protesters rallied to show disapproval of the Vietnam War. They hadn't been granted demonstration permits, however, and for a week, they were involved in violent conflict with Chicago police. Less than a year later, eight of the protest leaders — the so-called Chicago 8 — were indited by a federal grand jury on counts of, among other things, conspiracy and incitement to riot. 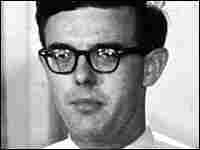 All were eventually found not guilty on conspiracy, but five were found guilty of violating the 1968 Anti-Riot Act. In 1972, those convictions were reversed. 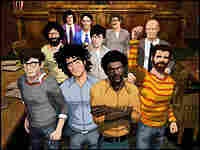 Challenged by a lack of courtroom footage, and inspired by a quote from lawyer Jerry Rubin that described the proceedings as "a cartoon show," Morgen chose motion-caption animation (most famously used in such films as The Polar Express ) to re-create the trial. Voices are supplied by actors including Liev Schreiber, Mark Ruffalo, Dylan Baker, Hank Azaria, Nick Nolte, Jeffrey Wright and Roy Scheider. In the film, scenes move from the courtroom to Chicago streets, telling the story of a trial that held the nation's attention and grappled with issues of individual liberty. Morgen sets the action against contemporary music — Eminem, the Beastie Boys, Rage Against the Machine — because he "wanted the music to be the soundtrack of my audience's lives, not their parents." In his conversation with Terry Gross, Morgen plays court audio recordings from the 1968 trial, rarely heard since the trial. And he explains his film's title, which echoes an observation from lawyer Jerry Rubin, who recalls that attorneys William Kunstler and Leonard Weinglass received contempt sentences in connection with the case. 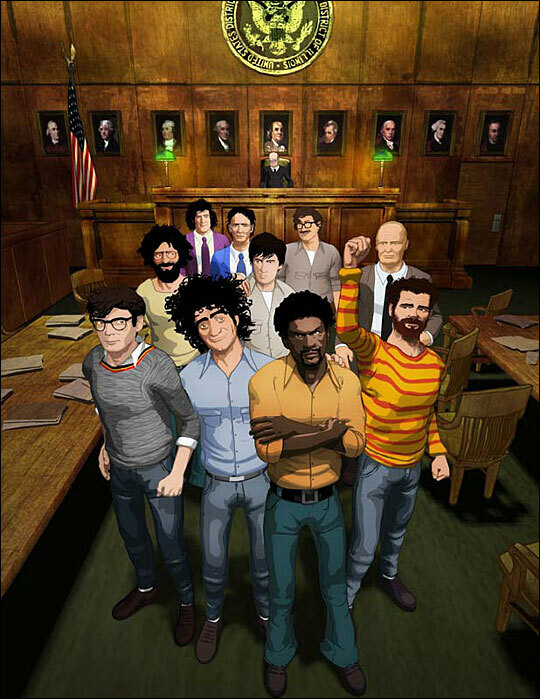 With a mix of archival footage and animation, Chicago 10 tells the story of anti-war protesters put on trial in tumultuous 1968. An era of convulsive political upheaval is intriguingly animated — literally — in Brett Morgen's unorthodox documentary. To retell the story of the anti-war activists who became known as the Chicago 7, the director mixes archival footage of protests outside the 1968 Democratic Convention with motion-capture re-creations based on court transcripts of the activists' trial. Motion-capture animation? It's the technique used in films like Beowulf and The Polar Express, and when combined with the voices of such well-known performers as Hank Azaria (playing Abbie Hoffman) Mark Ruffalo (Jerry Rubin) and the late Roy Scheider (Judge Julius Hoffman), it's a pretty hip way to re-create both the antics of the defendants and the circuslike atmosphere of a trial Rubin once termed a "cartoon." The title's numerical inflation (from "Chicago 7" up to 10) derives from the director's assertion that the eighth defendant — Black Panther Bobby Seale, whose case was ultimately separated from the others — and the two defense attorneys (who were cited for contempt) should also be included. Innovative technique aside, the film's likely to feel more illuminating to younger activists who don't know about the Yippie youth fest and the police crackdown that turned it into street theater than to folks who actually remember the events of 1968.